Siemon S110 wiring blocks allow designation labels to be mounted between each row of connecting blocks. 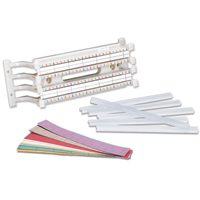 Each label has 2-, 3-, 4-, and 5-pair markings and may be used for color-coding services in accordance with TIA/EIA-606-A. 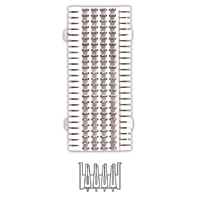 Field-Terminated M Series S66 Blocks are available in multiple configurations. 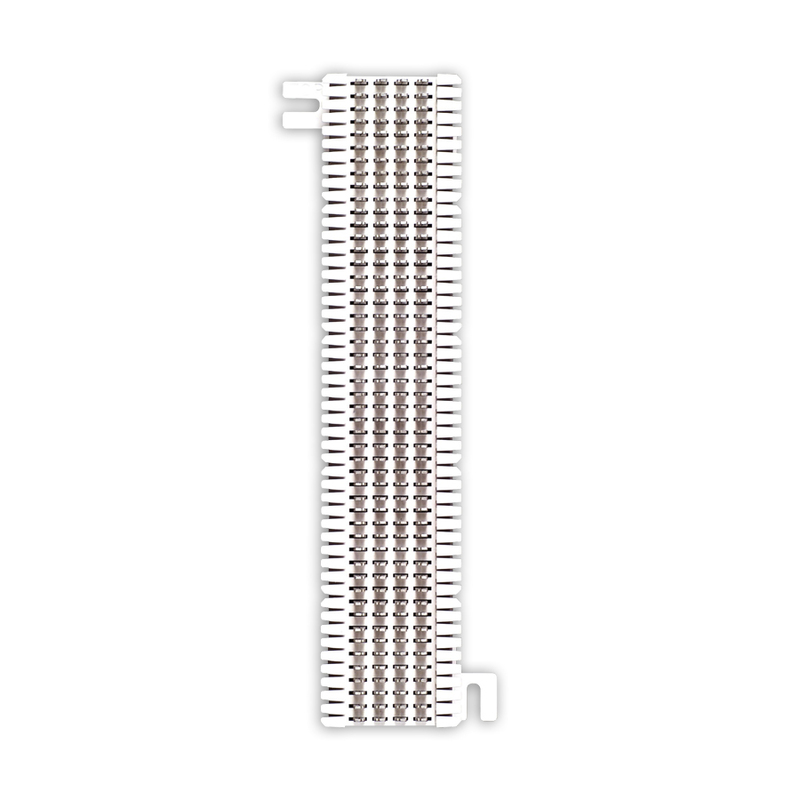 Center-to-center vertical spacing between rows of clips is 6.4mm (0.25 in.). 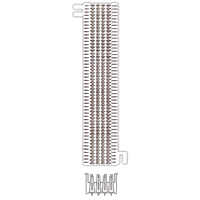 *All connecting blocks that use the 279MS quick clip have a tail pin that protrudes 3.3mm (0.13 in.) below the retainer base. 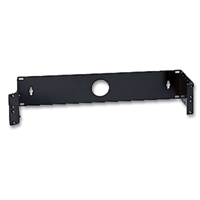 Siemon’s cable management rack system (RS) combines a 2.1m (7 ft.) x 19 inch black aluminum or steel rack with cable management accessories to provide a complete management solution. 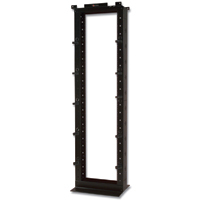 Ideal for all size installations, the rack features fully usable 45 RMS capacity. An optional 1.2m (4 ft.) power strip is available and mounts directly to rear of rack to provide power to active electronics. 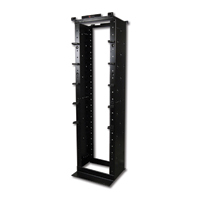 Siemon has developed a rack for managing extra large volumes of horizontal cables. 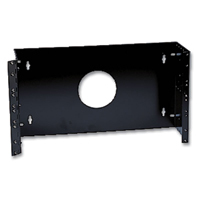 The new extended depth rack features vertical channels which are 0.37m (14.5 in.) deep. 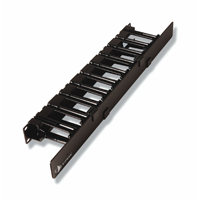 These channels include multiple mounting holes allowing the user to configure Siemon’s twist-lock hook and loop cable managers for properly managing large individual bundles of cables. 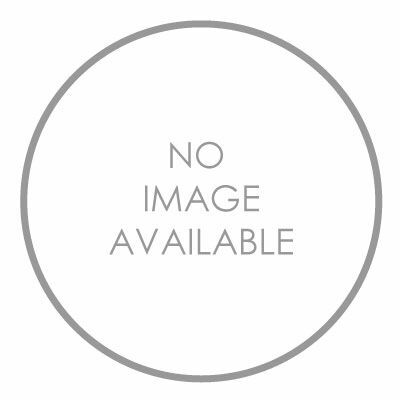 The footers have also been designed to retain the 0.61m (24 in.) footprint. Siemon hinged stand-off brackets can be mounted to a wall with the hinge on either side for convenient access to the back of the panel. 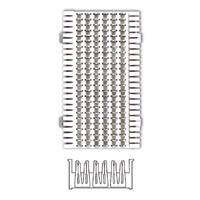 The sides of the brackets will accept our S144 or S145 cable hangers (see next page) for external cable management. 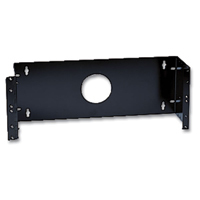 The brackets accept any combination of Siemon patch panels and rack-mount cable management. Mounting hardware included. Siemon’s RS series cable managers are designed for use with Siemon’s new vertical patching channel. 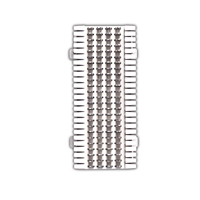 The hinged cover extends across the vertical channels to fully conceal patch cords into the VPC.